Hurghada Airport, Egypt – the security and the many checks in place! Now that we have had a chance to admire the picture above, let’s focus on the topic at hand. 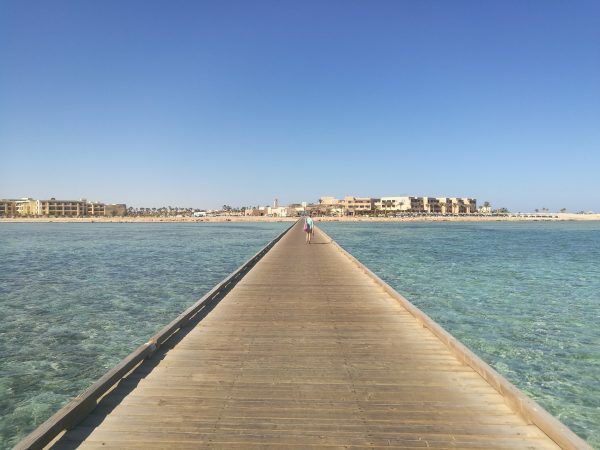 A couple of months ago, I travelled to Hurghada for a break and had a lovely time. We were in Soma Bay to be exact, and the Diver’s resort we stayed at was rather lovely, if not a bit too German. Our first choice would have been Dahab. Sadly Sharm El Sheikh, the nearest airport, has been plagued by travel bans from a lot of countries, including the UK. It all started when the Russian plane went down over a year ago. We were in Dahab back then, enjoying an even lovelier time. We felt safe. We felt protected. We felt looked after. Of course, none of that matters when you are travelling by plane. Egyptian government has been trying very hard to rectify the situation. They have been investing heavily in security, and that much was evident when we travelled back to the UK. There were a LOT of checks in place before we got on the plane. A whole load. Yes. You cannot enter the airport without showing a valid boarding pass and passport/ID. Now, it is not that uncommon in some countries for you to not go as far as check-in without those, but here you couldn’t even go inside the building without this. As you get to the check-in desk, you have to queue up and put all of your luggage through a security scanner. This is actually not that uncommon in places like Pakistan, so I wasn’t that surprised. Whether you have luggage or not, you still have to go to the check-in desk, and of course, you have to show your passport there too. They also hand you an Immigration card which you have to fill in and hand to the passport desk, which comes up next. Of course, the place where your passport really needs to be checked. They take your Immigration card and stamp your passport. At this stage, you go through what we deem in Europe as regular security. The bit where they scan your hand luggage and put you through a metal detector. Right after, a guy checks whether the passport is stamped or not and if you have your boarding pass or not. Yeah. From the above, you head to the departure terminal. However, if you are travelling to the UK, you have to go through to another section where your passport and boarding passes are checked once again. Me. Yes. I got picked up for a random check. Wasn’t expecting that in Egypt, but there you go. Got patted and all that, pockets emptied, everything thoroughly looked at. Yeah, this one we are all aware of and expect. Fair play. They scan your boarding pass, and look at your passport. Oh yes, there was one more check as we came down the stairs and were about to board the plane. Another chap checked that our passport was in fact stamped, we were who we said we were and had a valid boarding pass! So there you have it. The ten checks I had to go through before being able to come back to the UK from Hurghada airport. Of course, this is just a statement by the Egyptian authorities telling the Europeans and specifically the Brits that they are paying a lot of attention to security. As such, I wish and hope that the situation remains peaceful and calm over there, and travelling and holiday does return to Sharm el Sheikh soon! Next story Running this summer? This one technique helps you go longer and faster! You white people ruined Egypt. This country was safe and beautiful until you crackers came. You taught my people white man ways and now its nothing but chaos.